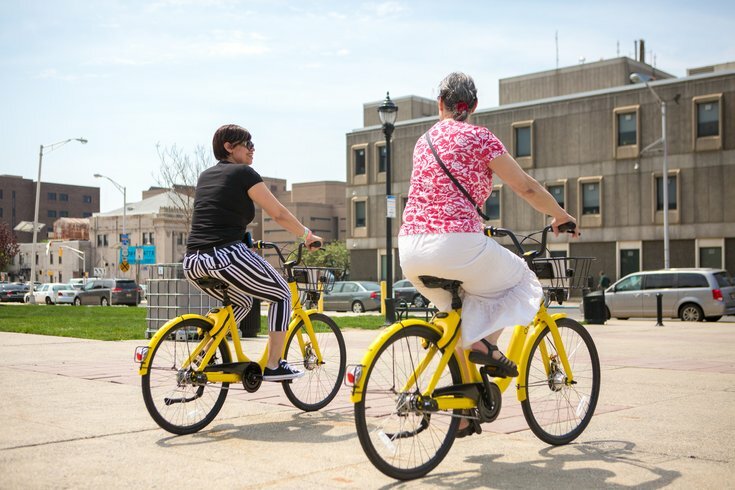 Ofo, the Chinese dock-less bike sharing company that the Cooper’s Ferry Partnership and the Rutgers Voorhees Transportation Center chose to partner with for the demonstration program, has pulled out of the partnership as part of a company-wide refocusing. Less than 100 days after it began, a bike share pilot program in Camden has been cut short. Ofo, the Chinese dockless bike sharing company selected to partner with the Cooper’s Ferry Partnership and the Rutgers Voorhees Transportation Center on the feasibility and demonstration program, has pulled out as part of a company-wide refocus. The pilot program was supposed to run through September. In May, Ofo provided a fleet of more than 100 yellow bicycles — perhaps you’ve seen them? — to use across the city. Just two months ago, Ofo spokesman Jordan Levine said he believed conditions in Camden set up the pilot program to be a great success. "We really want to prove that it can be successful there,” he said at the time. The Voorhees Transportation Center said in a release Friday that the remaining parts of the feasibility study will continue as planned through September, including outreach with Camden residents to determine if a bike share system can work in the city. A spokesperson for Ofo did not immediately return a request for comment.